Gameloft the popular mobile game maker behind Despicable Me: Minion Rush and Asphalt 8: Airborne delivers another hit for iOS and Android platforms. Rival Knights transports you back to medieval times with knight jousting. 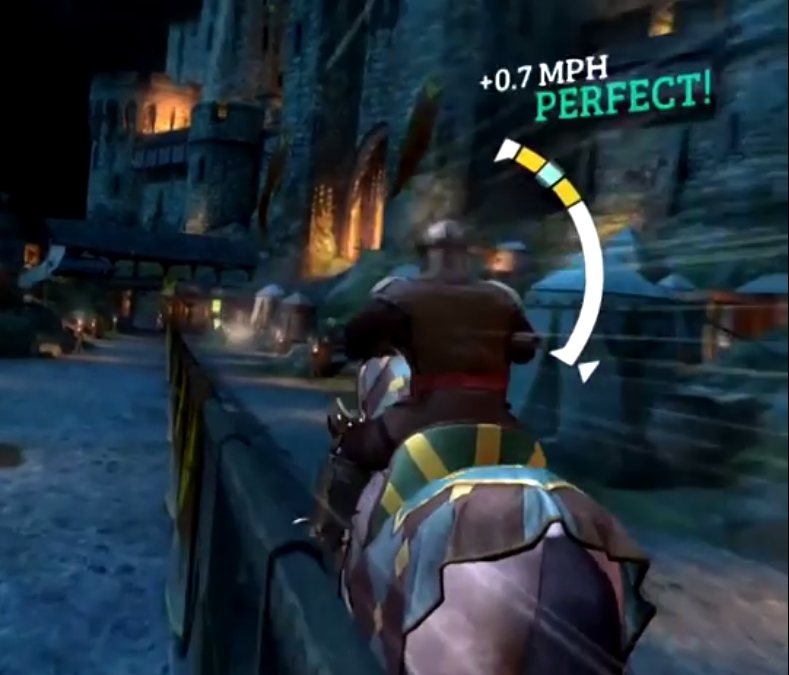 You skills will be put to the test in this fast-paced and highly addictive jousting simulator. We're going to give you a few tips and strategies for staying on your horse. How do I play Rival Knights? The goal in this game is to join jousting tournaments against other knights, to send them flying off of their horses while preventing them from doing the same thing to you. It's important that you have a perfect start as it's a factor in achieving consistent victories. The best way to do this is to time the countdown until the horse goes. Tap the screen between 1/8 to 1/4 second before the "go" to get a perfect start every single time. How do I get a high-speed bonus in Rival Knight? To get the high-speed bonus you must stop the arrow on the green area of the half-circle speed bar, rather than the yellow or grey areas. Getting first bonus is important and it's the most difficult to get. When you get a perfect start the horse rears upwards on its hind legs. Getting as many perfects or one or two greats, would get you a high speed bonus. How to get the perfect hit bonus Rival Knight? To get the a perfect hit bonus you have to aim the lance so that it hits inside of the center of the circle. If it hits outside of the circle you'll get a lower rating from great or worse, depending how far you're off from the perimeter of the circle. The target and your lance will be moving, so getting the rhythm and direction of the movement is important in getting the perfect hit. How do you upgrade equipment in Rival Knight? Purchase equipment using either gold coins or gemstones. Purchases of new equipment will finish immediately while upgrades will take time to complete. Each piece of equipment can be upgraded for a maximum of six times. Do I need to pay for anything in Rival Knights? Rival Knights is free to play but you can pay real money to get coins and gemstones to upgrade your equipment. Once you've incorporated these tips into your gameplay and mastered these strategies, you'll go on some great runs and see your wins increase.